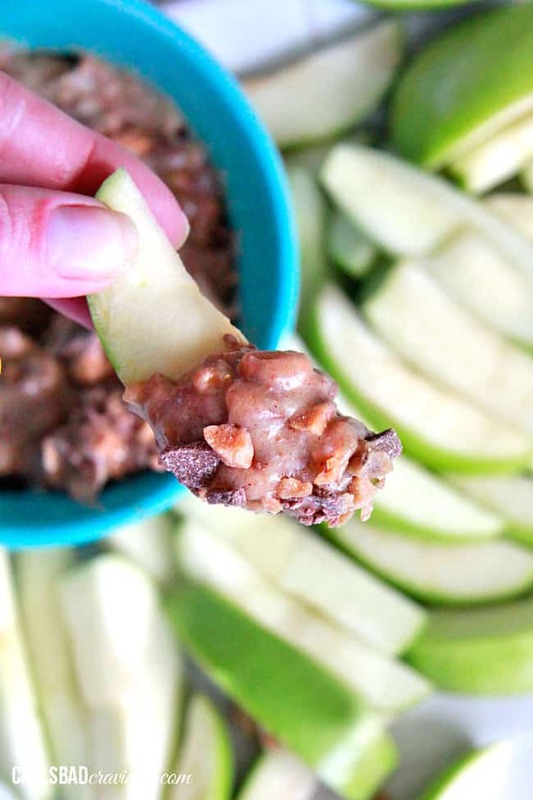 You will not be able to stop eating this Salted Caramel Peanut Butter Apple Pie Dip!!! Warm, cinnamon brown sugar apples smothered in peanut butter caramel sauce = insanely delicious Thanksgiving, Fall or just because appetizer or dessert! I can barely even handle the deliciousness that is this Salted Caramel Peanut Butter Apple Pie Dip! That is a mouthful. A comforting, sweet, creamy Fall mouthful. I was originally thinking that a Salted Caramel Apple Peanut Butter Cheesecake was a brilliant idea. I had already made the peanut butter cheesecake. It was just chillin’ waiting to be doused in Salted Caramel Apples. But as I began melting my butter, adding my brown sugar, cinnamon and a splash of lemon juice and sauteing for 5 minutes, I had a feeling these apples might be a stand alone show stopper appetizer/dessert. As I added my caramels and heavy cream and the apples began to tenderize in the brown sugar cinnamon bath, it was all but over for the peanut butter cheesecake idea. 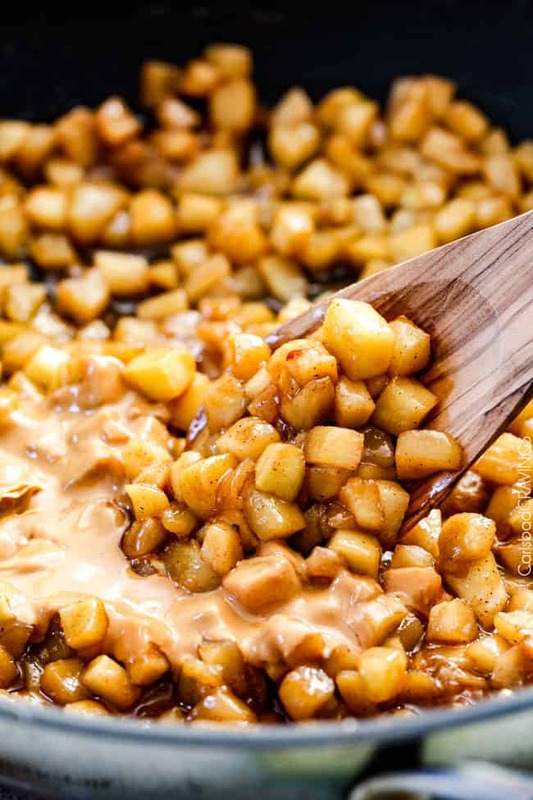 10 minutes later as I stirred a couple tablespoons of smooth peanut butter into the the warm apples smothered in caramel to create the most luscious peanut butter caramel sauce and I could NOT PUT MY SPOON DOWN, I knew it was all about these apples. And your Fall should be all about THIS Salted Caramel Peanut Butter Apple Pie Dip! 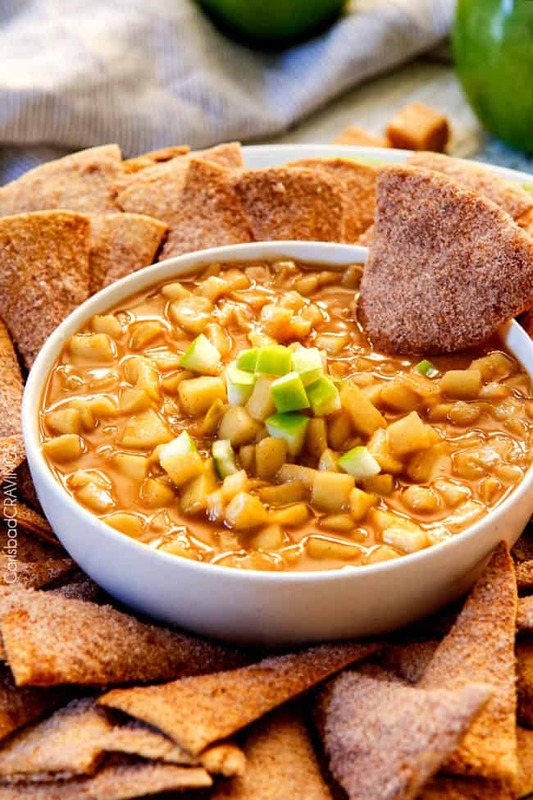 And to make this Apple Pie Dip even more addicting, I’ve paired it with my homemade Cinnamon Chips which are a can’t-stop-munching entity all on their own. 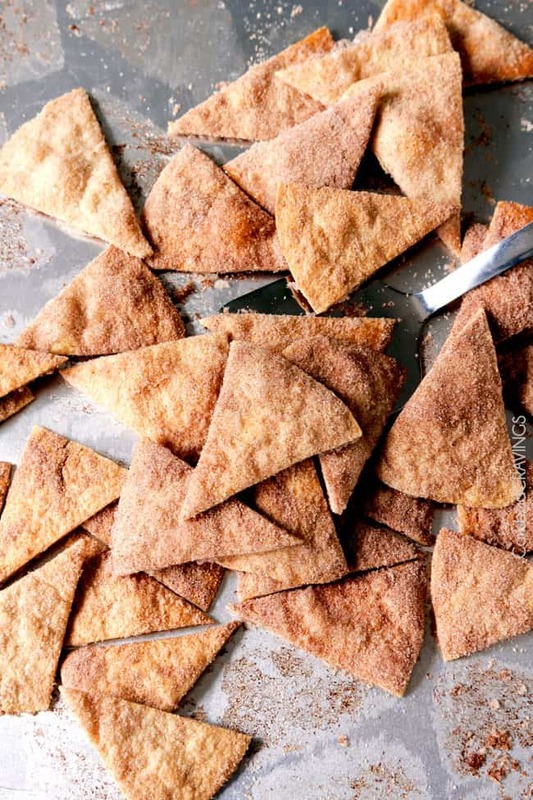 These delightful Cinnamon Chips take all but 10 minutes to prep by spraying with cooking spray, tossing with cinnamon/sugar then baking for 12ish minutes. You will be amazed how crispy these Cinnamon Chips get in the oven and are more than worth the little effort for something truly holiday special. But if you decide not to make the chips, then Graham crackers, vanilla wafers, cinnamon sticks, etc. would also be delicious. Or just a spoon. Salted Caramel Peanut Butter Apple Pie Dip. 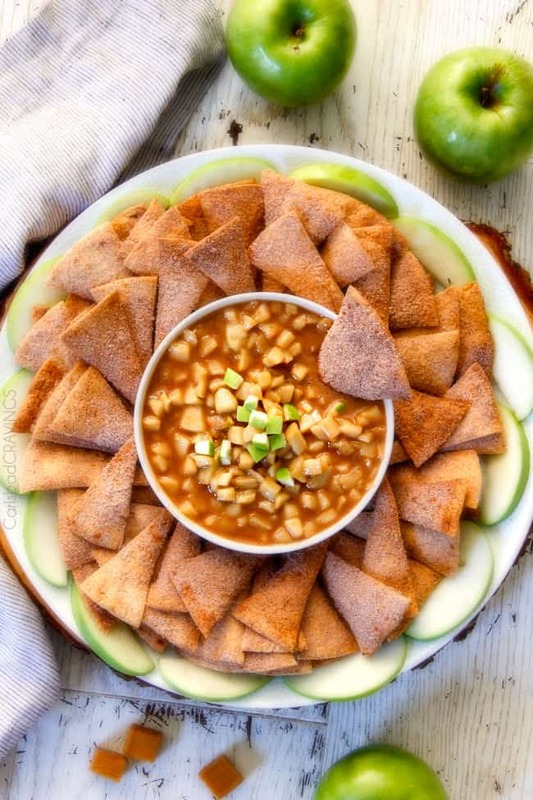 Hands down the most favorite Fall appetizer you will ever make and quite possibly the only one you will ever need! Want to try this Salted Caramel Peanut Butter Apple Pie Dip? Pin it to your DESSERT, APPETIZER, or THANKSGIVING Board to SAVE for later! Melt butter in a large saucepan over medium heat. Add apples, brown sugar, cinnamon, salt and lemon juice and cook, stirring occasionally for 5 minutes. 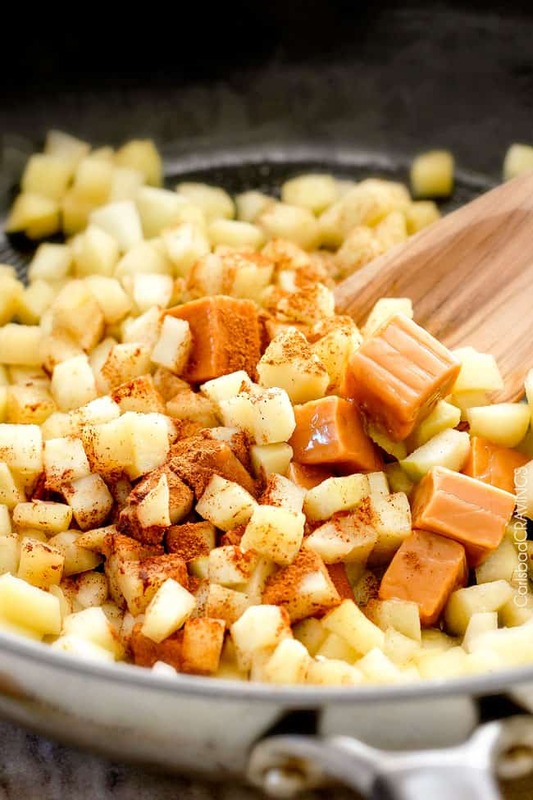 Add caramels and heavy cream and continue to cook until caramels are completely melted and apples are tender. approximately 8-10 minutes. Stir in peanut butter until completely smooth. Add additional heavy cream if desired for creamier. Serve warm with Cinnamon Chips, Graham crackers, vanilla wafers, etc. Hi Jen! I have been compiling appetizer recipes like crazy lately! 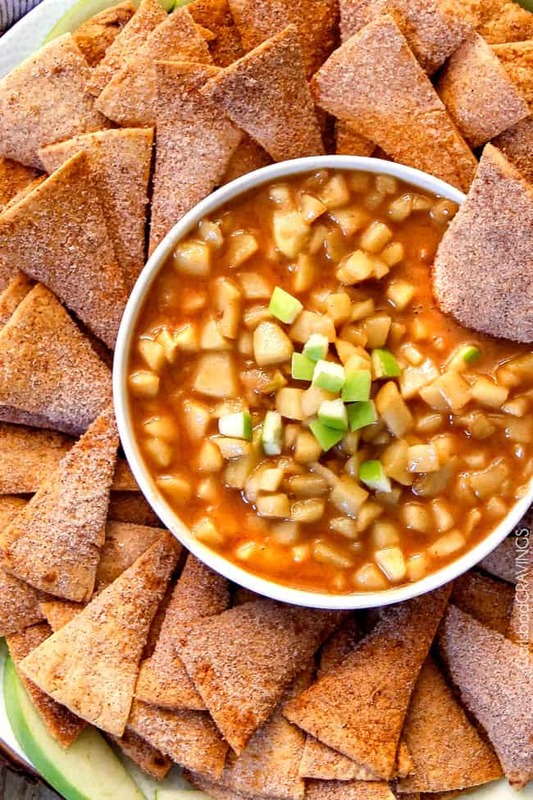 I love eating just appetizers…savory and sweet! It is so much more fun to eat a lot of little things than a big plate of food! Hence, my love of tapas! Sharing is caring! 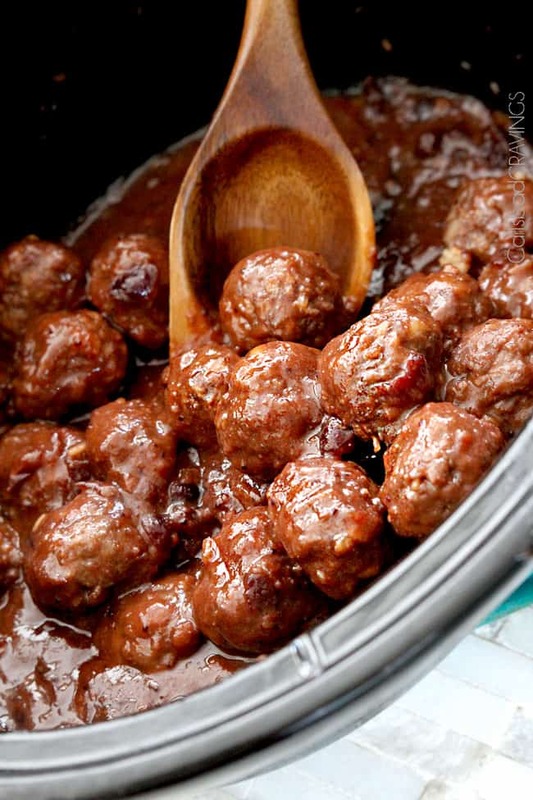 Hi Dorothy, it is so fun to have a good appetizer collection – where you can pull out a recipe any time and know its going to be a crowd pleaser! I bet YOU have the best collection! And I agree, its so much more fun to eat little things!! and you can eat more of a variety too! Hope this dip becomes a new favorite! Omg!!! Are you serious?!?! This is such heaven!!!! Your flavors are just BOMB.com!!! If I made this I may devour it all!!!! hahaha! I hear you Mila, it is hard not to devour this all! 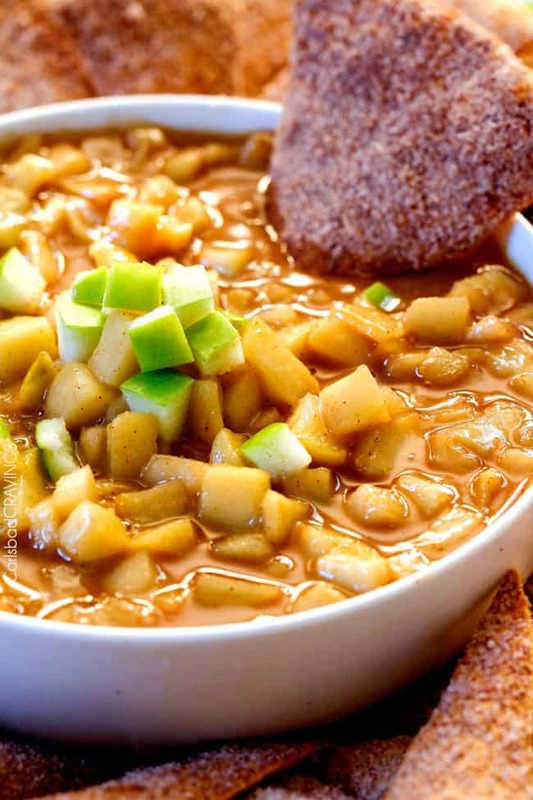 Nothing says Fall like warm cinnamon apples – with caramel – and peanut butter!! Hi Jen! First of all, I want to say that I am so happy to have read about your battle with CF. I have seen how rough it can be. A dear friend of mine lost her sweet husband last month. Now he is breathing deep and flying high! Please know that I am doing a little dance for your victory! OH YEAH!! Anyway, do you think it would be ok if I omitted the peanut butter? I have a pure passion for peanut butter, but I don’t like peanut butter mixed with other foods(like smoothies, ice cream, original Reese’s cups, etc…. I know. I am incredibly weird.) Is there a good substitute? Or can I just add more caramel and cream? Otherwise, this sounds delicious!!! I am excited to try it!! YAY FALL!!! Hi Heather, I am so sorry to hear about the loss of your dear friend’s husband – I can only imagine how painful that must be as I lost my brother when he was 19 but I agree, it does help to know they are breathing deeply and flying high! Thank you so much for your encouragement and what I can only imagine is the most awesome victory dance 🙂 As far as omitting the peanut butter, that would be completely fine! You don’t need to add anything to the recipe – actually just use 3 less caramels or so because the peanut butter helps to thicken it up. Hope this helps and you love it! Thanks again, you are awesome!